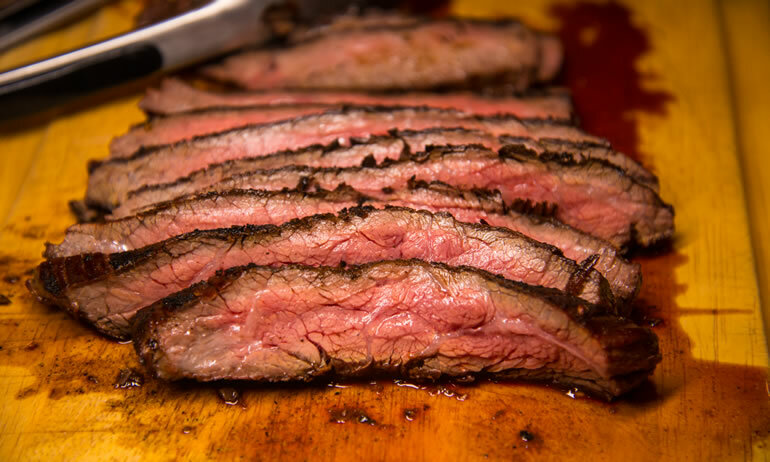 The Grass Fed Skirt Steak cut is an amazing cut that you can make some fantastic recipes. Here is a great recipe for you. 1. Combine first 4 ingredients in a large zip-top plastic bag. Add steak, turning to coat; seal and marinate at room temperature 25 minutes, turning once. 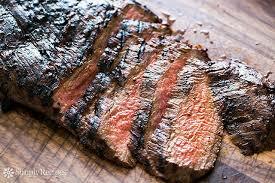 Remove steak from bag; discard marinade. 2. Heat a large grill pan over medium-high heat. Coat pan with cooking spray. Sprinkle both sides of steak with 1/4 teaspoon salt and pepper. Add steak to pan; cook 3 minutes on each side or until desired degree of doneness. Remove steak from pan; sprinkle with remaining 1/4 teaspoon salt. Tent with foil; let stand 5 minutes. Cut steak diagonally across the grain into thin slices.